If the Washington Nationals can somehow manage to make it into the World Series, they will have homefield advantage. That is something most Nats fans would never have even contemplated in seasons prior. An All-Star game that could potentially help the Nationals win the World Series. The National League shut down the American League and their offense lit up Verlander for a 5 run first to help bring home an 8-0 win and a huge advantage for one team in the NL. That makes 3 wins in a row for the NL, a league who has taken advantage of their All-Star wins with 2 W.S. Championships in a row. Can the NL make it a 3rd? The Nationals failed to yield the winning pitcher for the first time in 3 All-Star games (Capps, Clippard), but Gio Gonzalez pitched a 1-2-3 3rd inning and Strasburg didn't allow a run to score in the 4th, giving Kansas City a good look at 2 of the best pitchers on an elite pitching staff. 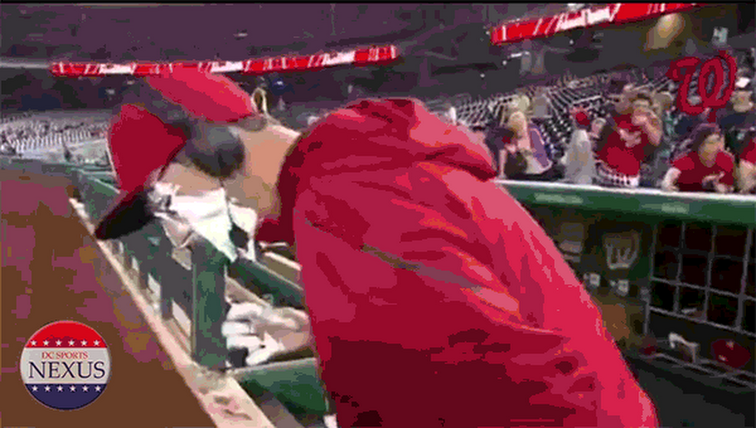 Bryce Harper had an interesting night. 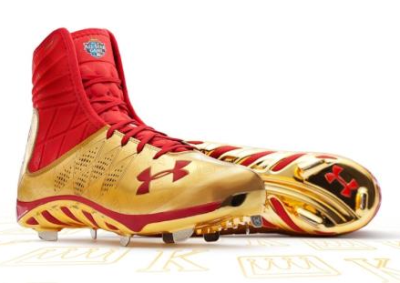 Sporting Gold Under Armour cleats, Harper worked a walk in his first at bat. Harper made a good base-running decision by tagging up on a deep fly ball by the next batter (instead of going halfway) to get to 2nd base. However, Harper found himself caught in a rundown after a base-running error on a grounder to short. Harper got a 2nd at-bat and he struck out. It was an interesting and not very special first All-Star Game for the Chosen One, but it appears at age 19 he will have several chances in the future to create some exciting All-Star moments. Overall it was a refreshing change or pace to witness some Washington baseball players being featured in an All-Star Game and hopefully it is a sign of things to come for this young franchise.